Wagrain and our apartment house, respectively, are located in the heart of Skiamade. The free ski bus service departs from the bus stop across the street and operates between all the villages and ski areas. The nearest lift entrance is only 3 minutes away by car, or 15 minutes on foot. Not far away from our home you will find the starting point of the well-maintained cross-country trail network. 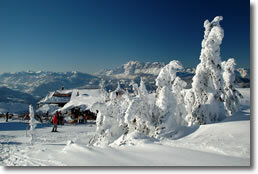 There are 200 kilometres of groomed trails for skiers of all levels. 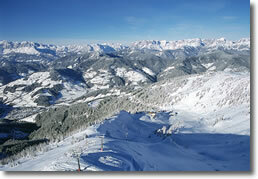 There are various toboggan runs in Wagrain, all of them perfect for family-fun! Visit Wagrain’s all-season “Amade Water-World”! The family indoor and outdoor swimming pool area is only 10 minutes away from our home. If you don’t feel like walking you can use the free ski shuttle which will bring you there in no time. The town’s skating rink is also within walking distance, or make use of the free ski bus to go there. The curling area is within a 3-minutes walk from our home.